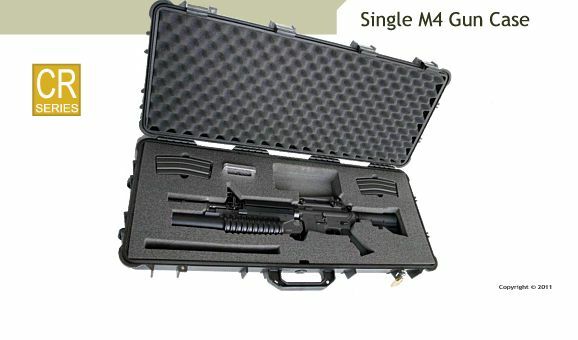 The M4 GunCruzer hard-shell gun cases are designed to accommodate the M4 A1 carbine with or without the M203 grenade launcher and multiple 30 round magazines – an overseas deplyoment requirement for combat units. Many case configurations will also accomodate the M9 Beretta pisto or the Sig Sauer P228. The custom foam interiors are made out of high-density closed-cell Polyethylene foam bed making it easy to clean, yet impervious to solvents and chemical attacks. The lid’s interior cushion is egg-crate-style convoluted foam. 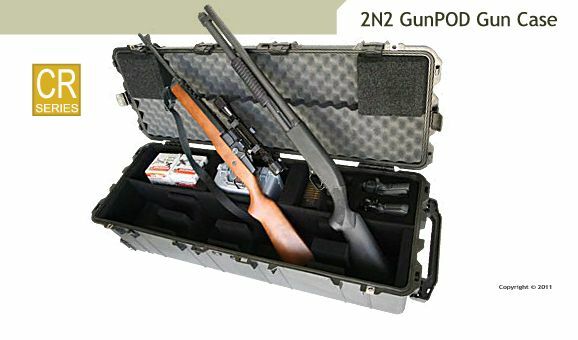 All GunCruzer gun cases report for duty with an unconditional lifetime guarantee. 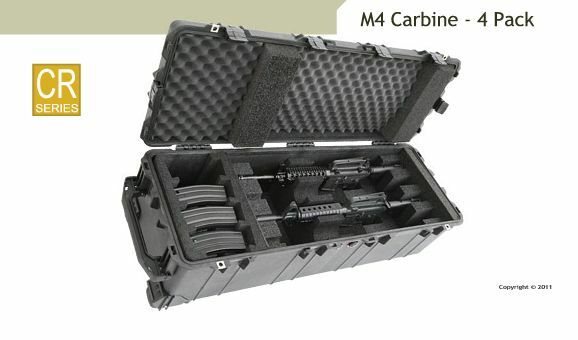 4 Pack M4 gun case makes U.S Armed Forces Deployment Quick & Easy M4 Single Carbine Gun Case with storage space for magazines. 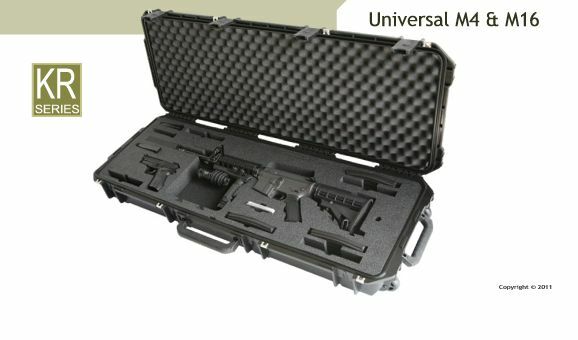 M4 Carbine & M9 Pistol combination Carrying Case with storage space for magazines.